The first photo I ever take on my trips rarely make it to the cut. Usually, it’s a test shot of my bag, or of people hanging around the airport’s boarding gates. Or, more often than not, of giddy travel companions who simply can’t wait to land before taking the first shot. That’s why the first photo I snapped when I landed in Beijing was actually a pleasant shock. It turned out to be passable by itself — quirky, cute, and it screamed, “I’m from China!”. Deep inside, my heart did its giddy high-five-me dance. That photo inspired me to dig into my trove of photo albums and see how my other First Photos fared. Some of them were expectedly bland, most of them were actually not that bad. A lot of them made me laugh out loud as they triggered memories, especially the ones with the wide smiles from my friends, even though we were only steps away from the tarmac (or from the check-in counter!) and have seen nothing yet of the destination. Good times! I’m posting some of my favorite First Photos below. Try to burrow into your own photo reserves and see what you can unearth; I bet you’ll have fun, too. If you’d care to share, I’d love to see what gems you find! Again, the first photo might not be the prettiest one in the bunch, but still, it has its own story. It’s good to be reminded of the first thing that compelled you to snap away and immortalize a trip into a memory. My first photo on our trip to Caramoan. On transit for a grand total of 11.5 hours (by bus, car and boat) from Manila, I snapped Ralph’s rendition of a Korean farmer/scarecrow as we hobbled about, riding on the back of a pick-up truck. On our way to Palawan, my officemates and I bumped into THE top honcho of our office, who was on his way for a vacation, as well. Think the boss of your boss, of your boss… then a little bit higher still. The first photo to kick-off my first-ever backpacking trip. Wide smiles while catching our first glimpse of Kuala Lumpur. My first shot of Cambodia. Still by far, Siam Reap has the dreamiest airport I’ve ever seen. This was the first thing that greeted me as I stepped off the bus at Glasgow. Wow, on so many levels. First photo in Canada: When I had my first encounter with a true-to-life fiery tree at fall, I thought it was nature at its gorgeous best. Capturing my first photo of New York was a classic trigger-happy moment for me. I was just so excited that I started snapping away at anything, only seconds after we got out of our hotel. Classic good-times pic. 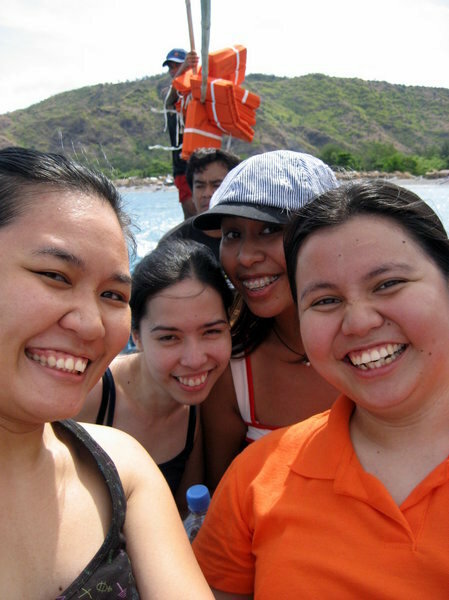 On a rare chance to go out with my grade-school buddies, we hopped on a bus all the way to Anawangin, and got on what I think was our first-ever boat ride together. I took this shot as soon as we boarded our bus on the way to Batad. 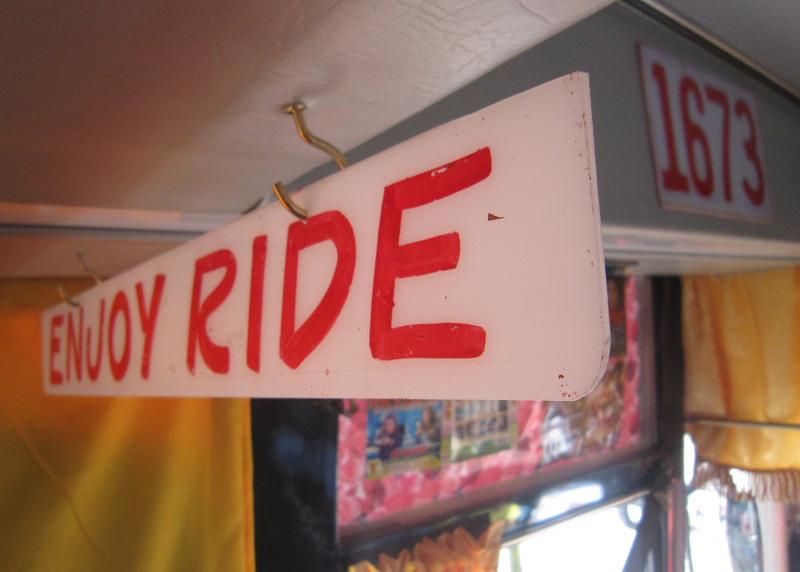 Enjoy ride, eh? Thanks, I think I shall.